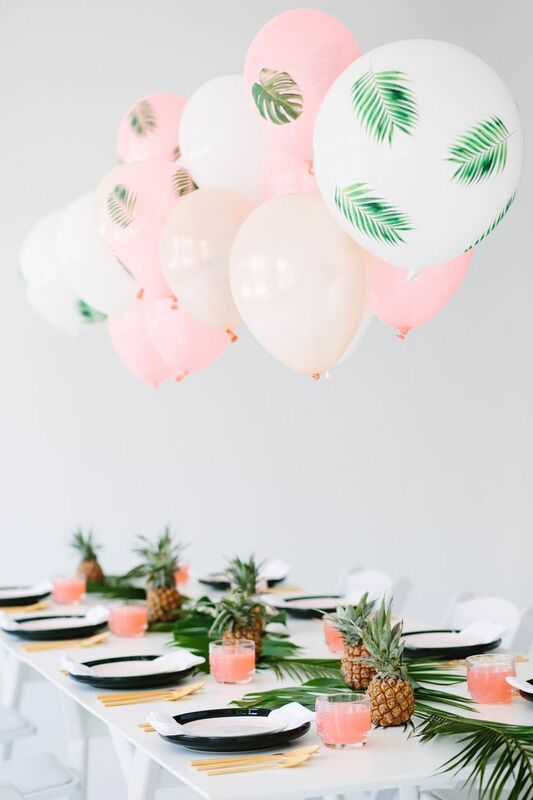 Party decorations can add a lot to the atmosphere you want to create in your home when throwing a party, whether it is a birthday, a wedding or an anniversary. Easy to install and remove, the decorations can be used in many other circumstances, and some are suitable for outdoor, garden parties. There are so many products available that it might be hard to decide on what best for you is. To make things easier, we selected 10 of the most popular products and reviewed them for you. Using lights to create the perfect ambient for your party is a guaranteed key to success. This product is an easy to install LED light string which illuminates its surroundings in warm, pleasant white. It features eight various lighting patterns, including a steady on option, a slow fading one, and other sequential modes. Suitable for the US standard outlet, it requires 110 volts to operate. The 300 LEDs are mounted on separate wires and can be attached, for example, to a curtain or door. Not only suitable for parties, but it is also excellent for Christmas, New Year’s Eve and other festive occasions. The product is certified, to guarantee your safety. Featuring a unique design in the shape of a four-leaf clover and lovely, bright and warm colors, this product adds a sweet and pleasant touch to your party. Easy to install or remove, all you have to do is unroll and let them hang. They can be attached to the ceiling or branches in trees, for an outdoor party. The strings are adjustable, and their length can be modified to fit your needs. At their maximum, each of them is 3.6 meters in length. Six garlands in the same color are included in a single set. Finally, once removed, they can be pulled back and reused on other occasions. Suitable as home decorations for Christmas parties or the New Year’s Eve night, these string lights have lovely star-shaped ornaments which can be hanged or attached to a curtain or even a wall. Covering the room with a warm, bright view, the LEDs are not dazzling and will not create discomfort. Safe and power-saving, the lights are UL certified. Even though the strings themselves are waterproof, their controller and power source should be kept in a dry environment as these have not been protected against humidity. If placed outside, make sure that those elements are not exposed to snow or water. Perhaps the simplest of all possible house decorations, the plastic swirl model is suitable for any occasion and environment, being also extremely affordable even if bought in more significant numbers. Durable and almost impossible to damage, this product can be used again and again for parties or family reunions, regardless if they are held inside or outside. The package is compact, so storing them in their original box will save you a lot of space and keep them dust and stain free. The rainbow swirl decorations are multi-colored, creating a pleasant and friendly atmosphere your guests will undoubtedly enjoy. Perfect for old parties and amateurs, these assorted sunglasses can be handed to the guests arriving at your retro-styled event. Comfortable to wear, they come in one size meant to fit most teens and adults. Since they are merely a party decoration, they do not provide too much protection against bright light. The large, circle lenses with brightly colored frames recreate the style of the 60s and 70s. Each set contains ten different pieces, coming in 5 assorted colors. They are fun, and customers appreciate them. Adults and children alike enjoy using them for separate occasions, and their reduced weight was also appreciated. Get ready for top sporting events with these whirls which can be hanged from the ceiling. Watch your favorite sports together with friends in a festive atmosphere guaranteed by these inexpensive and easy to install decorations. The decorations are pretty high quality, which makes them have great value for the money. Containing five different balls commonly used in sports favorite in the US attached to a swirling string, their simplicity makes them last longer. After the event, removing them is easy and so is storage. They are reusable, so you can enjoy them at every sporting event you enjoy watching. This 2-D representation of a Tiki totem carving is an excellent choice for a summer outdoor party. Suitable for barbecues, pool parties and much more, it is simple and requires no particular attention. It features a jointed construction, used to enable compact storage after use, so it will not take up too much space in your house. One of the more popular tropical wall decorations, it is made from sturdy cardstock. Its printed carved totem print is colorful and will keep a pleasant atmosphere at any Hawaiian themed party. Mounting is fast, and you will only need double-sided tape to keep it attached to the walls. Leave a lasting impression on your guests at a pool party with the beach themed decoration for food. This product is excellent for cakes or ice-cream, being made from food-safe plastic which does not alter the taste or flavor. The kit is reusable and easy to take off the food. Approximately 3-inch in height, it will surely not go unnoticed. It includes a beach chair, a beach umbrella, a small sand castle, palm trees and a sand bucket. What is cool is that it can be used in many ways; the only limit is your creativity. In conjunction with other beach-themed kits, it will undoubtedly yield excellent results, and your guests will be impressed. The Amscan table cover with the Barbie-themed print is a perfect choice for occasions such as your daughter’s birthday party. Featuring colorful circles and round Barbie logos scattered across a white background, the table cover is also quite large, measuring 54 by 96 inches. Made from plastic, it is easy to clean up after the party or between different dishes. The only things you have to pay attention to is to keep away from open flame or other direct heat sources such as heaters or hot plates. It is also quite durable and can be reused several times before becoming worn out. Serving appetizers and entrees is now more accessible and a lot more enjoyable with these US flag picks. The patriotic party item is suitable for many festive occasions, and its inexpensive price allows you to buy large numbers so that you can serve more types of food with these items. A package contains 50 flag picks, and since they are so affordable, they also have great value for the money. High-quality, they should not break when used in a standard way. 2.5 inches high and 1.5 inches wide, they look great on mini cupcakes, too. Made from paper and wood, the products are food-safe. Finding the right decorations for an unforgettable party can be a genuinely intimidating task, especially since there are so many items to choose from. But it is essential to get educated on this topic, to make that party unique and to give it a personal feel and to make your guests say you are a fantastic party planner. Understanding what accessories work and which will be the ones people will notice and enjoy is the key when it comes to choosing the best models. But because the available time of a modern person is limited, and in order to invest what time you have in something more enjoyable than research, we are glad to be of assistance by putting together the following detailed guide. It is essential to consider in advance the general theme of your party and your personal preferences when looking for party decorations for sale. In general, what matters when choosing decorations is how it’s going to help you fulfill the image you have in your head. Other things you have to take into considerations are the materials they are made of, how reusable it is and if it is sturdy enough to resist even the wildest parties. Before we start this journey, you need to know that there are quite a few types of party decorations to consider. There are awesome wall decorations that can transform even a bland white wall into something spectacular like a piece of art; you can choose candles too which are perfect to help you teleport your guest into your chosen theme through their scents. And of course, you can choose other kinds of ornaments that will forever remind your guest about your party. You want objects that can withstand extended use or even small accidents, this way you can reuse them again and again and still get the same effect and quality. Those are those are the marks of a wise investment. If you’re a practical person, numbers should be the first thing that comes to mind. If you’re planning a big party, one that has many guests, then you should be looking for items that come in sets. This way you can ornate your tables with the same elements, making for a very symmetric decor. And usually, when they come in bulk, they cost less too. It is always nice to save some money. Also, the more they are, the more you could fill your room without having to make multiple purchases, ensuring you save some time besides cash. But more is not always the best. Sometimes, especially if we’re talking about big objects, less is more. If you’re thinking about having a central piece, just buy one of those so that you won’t distract your guests, and so you don’t overcrowd the rooms. Good taste is essential when it comes to successful parties. When we are considering a model that you may want to reuse at some point for future parties, then it is of utmost importance that you choose one that is well-constructed and sturdy enough. Choose a model that can become not only a purchase but an investment. And a premium material is going to help you make an impression. 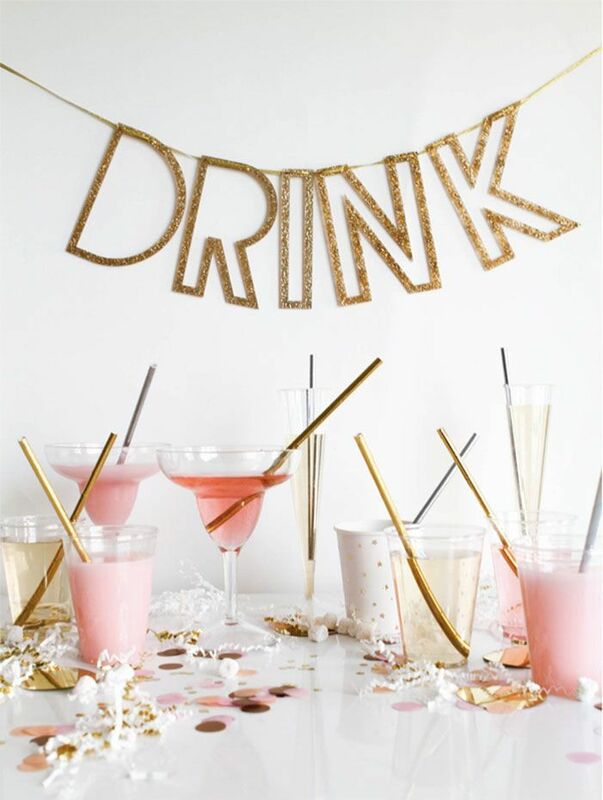 The best party decorations are the ones that are not disposable, that you can use multiple times and that have the potential of becoming your trademark. So a high-quality material should be your priority, regardless of what type of items we’re having in perspective. The elements of construction should not make the object look cheap and should make sure it is non-toxic and BPA-free. Before purchasing, ensure your guests don’t have any allergy to latex allergy, so you avoid accidents. And if a product can be environmentally friendly while looking awesome, even better for you. Modern houses tend to become smaller and smaller. That’s way depositing large amounts of items could be tricky and even expensive, if you’re using alternative storage solutions. So if your decor folds or it is easy to deposit, then they have a bonus worth considering. This way, you’re attic or basement won’t have to overflow with any of them. It’s a good thing if they come in their own box, where you can but them back in there after you’re done using them, so you won’t have to purchase crates separately. Also, if you don’t have where to keep the smaller ornaments, you can get creative and put them in goodies bags. This way you can give them to your guest when they leave. This will ensure they will have a piece of your party always to remember the good times you had. Candles usually work best in this situation, and we think no party is complete without this kind of cute memorabilia. For sure is going to become a favorite alternative amongst all types of parties. If you already have an image of what your celebration is going to look like then you should invest in that. It is good to buy items that match in style and color, so your venue or room will look homogenous and that things won’t seem out of place or disproportionate. You should decide ahead what kind of party you will have and buy items that are going to help you replicate that idea, no matter if we’re talking about a Christmas party, a birthday celebration or if you want to go all the way and have a Halloween extravaganza. The style of the items should be premium, to look expensive to make an impression on your friends and make the come back another time. And that high-class design should come with a reduced price tag, so you can buy everything you need for a complete experience.